It seems like there’s an app out there for everything. 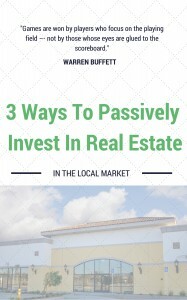 This is excellent for investors because at your fingertips is all the information you need to find and purchase successful investment properties. What are the must-have apps for real estate investors in New York? Check out some of our top picks in our latest post! In addition to the basics, such as Zillow, Realtor.com, Trulia and so forth, there are many great apps that can make your life easier as a busy investor. Below are some of the most instrumental apps for successful real estate investors in New York.